When super heavy duty tarps are needed, there may be several different kinds to pick from. These products will each have their own features and specifications that will make them appealing to any customer. Learning about the abilities of these super strong tarp units will assist a buyer with their choice. The material used in the construction of the tarp is made from tough fibers. The product will not rip or tear and is desired for heavy duty usage. When someone has a need for a product that will not rip or become damaged during extreme use, then they can feel confident with whatever they are protecting underneath. Heavy winds, storms or snow will not penetrate through the material. These items are also UV protected on both sides. That can be great news for anyone who is worried about the item they are storing. 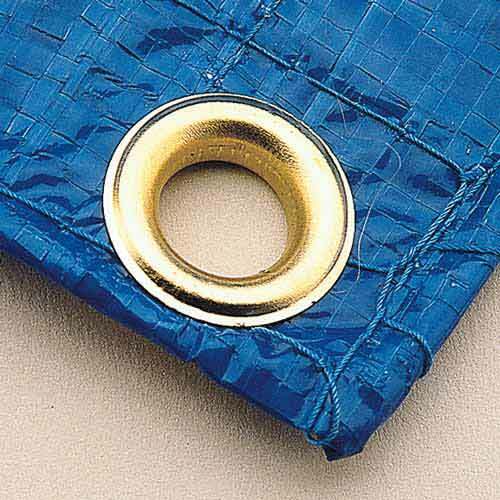 Keeping an item safe from UV damage will keep it looking young and new. Over time the sun can peel and fade the pain on a SUV, car or other product. Using a cover that is protected from the sun, will keep the paint and color from fading. The heavy duty tarps are also sprayed to prevent any mildew growth. Mildew can quickly become attached to some covers and cause them to be no good after a period of time. These particular units are sprayed and treated for the prevention of this mold growth. Acid treated also keeps the unit from wearing down over time. After a period of time, rain and other acid products can begin to wear down the material and cause holes or stains to appear. When material is covered in a treatment to prevent acid wear, it can keep the cover for a longer time. Using super heavy duty tarps will help to keep any item safe from damage. These devices are protected against, mold, acid wear and sun damage. The material and fabrics are strong and durable and will sustain any rough wear and tear.